Matt Wade at the October 17 CAAV meeting. 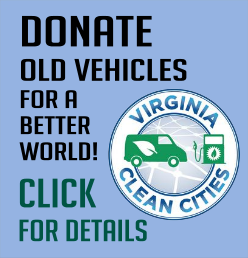 About the biggest thing to happen lately in the world of Virginia Clean Cities (VCC) is the allocation of $14 million from the Volkswagen emissions scandal settlement to establish a network of electric vehicle (EV) charging stations in Virginia. This dramatic expansion of the state’s EV infrastructure stands to support and encourage putting a million EVs on the state’s roads over the next decade. But this was an aside to the discussion Matt Wade, Deputy Director of VCC, brought to the CAAV meeting on Tuesday, October 17 as our invited Coalition Building partner of the month. Matt brought us up to speed on the current use of ethanol in fuels for gasoline engines. Ninety-seven percent of all fuels at the pumps are at least a 10% blend of ethanol with gasoline (E10). All cars made since 2001 can use E15, a fuel blend with 15% ethanol. E85-enabled vehicles have a yellow gas cap and can accept any blend up to 85% ethanol. The use of ethanol in gasoline offers a locally made product that utilizes the carbon short term cycle and therefore reduced greenhouse gas emissions. Since 2015, VCC has been involved with the Mid-Atlantic Biofuels Infrastructure Partnership which was granted $5.8 million in federal funds to expand the number of E15 and E85 fueling stations in Virginia, Maryland and Washington DC. Waynesboro and Mt. Jackson each have an E85 pump at a Sheetz Store. These are the closest to Harrisonburg. Find them all here. Hopewell, VA, on the James River about 20 miles south of Richmond is home to the only ethanol plant on the east coast. It operates 24 hours a day using corn grown by Virginia and Maryland farmers. Thanks to Matt for his work on climate-friendly transportation and for sharing his enthusiasm for clean air with CAAV. Photo below is from the Harrisonburg July 4, 2017, celebration at Turner Pavilion. CAAV and VCC along with members of Renew Rocktown showed off EVs and staffed tables with information about renewable and clean energy initiatives. We were delighted to have Eastern Mennonite University Provost Fred Kniss as our Steering Committee speaker this month. He brought a surprise in the form of Doug Graber Neufeld of the EMU Biology Department, who has recently been named Director of the Center for Sustainable Climate Solutions (CSCS). CAAV committee members have been greatly anticipating more information about how the Center is developing, and what the role of the Center is expected to become. We learned all that and a great deal more that has transpired in the past year from Dr. Kniss who has been the interim director for the CSCS. A very important meeting was held last spring and several important partners have joined on the CSCS venture. Right now those include not only the founding collaborators (EMU, Goshen College, and Mennonite Central Committee), but also representatives from various other Anabaptist stakeholder groups, including Anabaptist Mennonite Biblical Seminary, Mennonite Mission Network, Everence, and the Mennonite Creation Care Network. 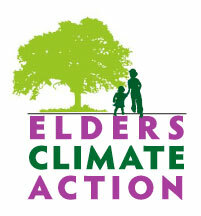 Begun with a generous gift from EMU alumnus Ray Martin, as a “visible statement to the larger world that Mennonites are serious about climate change,” the Center is intended to advance thinking and action in faith communities to mitigate climate change through fostering research, innovation, education and collaboration to promote sustainable living on earth in the context of environmental justice and creation care. Dr. Kniss pointed out that a sustainability component is already a part of all majors at EMU. An energy audit by Siemens Corp. found little at the university to critique, as they have been working on energy efficiency and renewable energy for years, installing the first solar panels on their library before other universities in the area found that impetus. They have completed a broad survey of 33,000 Mennonites, starting with clergy, on behaviors and practices. They describe the results in terms of Yale University’s “Six Americas” with the 6,000 responses in categories ranging from “alarmed” about climate change to “dismissive”, but were pleased to learn that Mennonites already appear more concerned than other faith groups or Americans in general in surveys of a similar nature. A big question for both staff and the oversight board is the role of advocacy in the Center. This is a school where students and donors don’t all agree, and there will have to be work to bring them along. Also should they focus on mitigation (the founding donor’s intent) or, at this point, adaptation or both, since the climate has already changed in many parts of the world? Should they focus on one or two things where they might have a real impact, or spread resources more widely?–focus on their own efforts or on supporting those of others? These are big and important questions, and it is obvious that the necessary focus and study—and probably a lot of prayer—have been put into beginning to discern the answers that will guide the future of the Center. We congratulate all those who have brought the Center this far in a very short time, and feel thankful for major help in the endeavor to fight Climate Change in still beautiful but increasingly challenged Earth. New CSCS Director Doug Graber Neufeld (photo at right) had just one remark to make at the end of the meeting. He has recently returned from a two year sabbatical and research period in Kenya, and says “There are no climate change deniers there”. There is a wonderful website at www.sustainableclimatesolutions.org where many questions may be answered; you are encouraged to check it out. A lovely and informative brochure is also available upon request. Our story began in the fall of 2009, when the City of Charlottesville and County of Albemarle jointly applied for and won a competitive grant to fund a community-based energy efficiency organization. After the formation of our Governance Board, the Local Energy alliance Program (LEAP) was incorporated as a 501c3 nonprofit in 2010. LEAP began its highly successful path of home energy upgrades by launching its Home Performance with ENERGY STAR program in July 2010, followed by a program for commercial property owners in 2011, and the start of renewable energy services with the first Solarize campaign in 2014. In 2012, LEAP added a second office in northern Virginia and began offering a variety of services there. While our focus is on the greater Charlottesville and Northern Virginia regions, we’ve worked with partners and provided services and programs across most of Virginia. As we like to say, “every community needs a LEAP.” So, we go where we’re needed. Since its inception, LEAP has established itself as a trusted leader in Virginia for home and business energy efficiency and renewables thanks to the relationships we have developed with our customers, contractors, local governments, and many other partners. Residents struggling with high energy bills or uncomfortable homes and business owners seeking to cut energy costs come to LEAP for building science expertise and, when available, special rebates and loans to make energy upgrades more affordable. LEAP’s mission is to lead the effort in local communities to implement energy efficient and renewable technologies in buildings; to promote cost savings for families and businesses, job creation, energy self-reliance, and local economic development; and to mitigate climate change. At this point, with the ending of the stimulus funding from the Recovery Act, LEAP is down from 23 employees to 7 but has added an office in NOVA. Instead of being fully funded with federal grant money, only 8% of its income is from grants and it is following a more entrepreneurial model. Now the majority comes from acting as a ‘contractor’ for Dominion and other local utilities and its home energy audit rebate program and weatherization program for low income residents. It also serves as a sub-contractor for Community Housing Partners (CHP). Grigsby is hopeful that Dominion will re-establish its home energy checkup program later this year. If so, he expects greater incentives for both LEAP and Dominion customers—e.g. recovery by LEAP for both walk-through and for direct installs and no income limit for customers. He noted that for Dominion an advantage to a customer’s improving a home’s energy efficiency is reduction in demand, often during peak load times. When called up by a customer, LEAP sends a specially trained “energy analyst” to any home more than 4 years old. In addition to the usual Dominion practice of switching out incandescent bulbs, wrapping water heaters, and adding weather stripping to doors, with the rebate covering the basic costs, LEAP gives a separate audit report to the customer with an itemized list of needed improvements in increasing order of cost and suggests competent reliable contractors. Apartment buildings can be made more efficient through the VA Multi-family Energy Efficiency Coalition of the Virginia Housing Alliance. As LEAP tells the landlords, doing this “will improve your property, make your renters happy and better able to pay their bills.” Grigsby also noted two other entities with a focus on energy efficiency: VA Housing Alliance and Energy Efficiency for All. Grigsby suggested that what is needed now are companies that would offer turn-key services from audit to weatherization plus financing. Some solar energy companies such as Sigora Solar and Altenergy are beginning to offer financing and the idea may spread. Both companies are also including energy efficiency audits as part of their business models. One of LEAP’s goals for the future is to get all municipal utilities to put money into energy efficiency incentive programs like Appalachian Power has in southwest Virginia, West Virginia and Tennessee. Grigsby noted that Elkton is one of the several municipal utilities in VA, and, of course, Harrisonburg Electric Commission (HEC) is another. When asked about building codes (for new construction), Grigsby said the meaning and enforcement of “air-tight” is at the crux of the matter. Currently, “air-tight” can be determined either by a blower door test or by visual inspection and the usual choice is obvious. However, inspectors in the Blacksburg area are requiring builders to supply real data, the kind that doesn’t come from a quick visual examination. He added that the VA Building Code is currently undergoing revision and he is watching this closely as well as making recommendations. Attendees asked about utility service areas and, following the meeting, Grigsby provided one. Find it here. We also told him about the VA SUN campaign to ask Shenandoah Valley Electric Cooperative member/owners to encourage the co-op to improve its use of solar and its renewable energy policies. In addition, we told him we were working with Renew Rocktown on ways to propose some win-win ways for HEC to do the same. Further, we made him aware of Renew Rocktown’s current energy audit project. From what we learned thanks to Andrew Grigsby’s presentation and responses to our many questions, attendees concluded that LEAP has been an admirable addition to the Charlottesville area and would make huge difference in Harrisonburg if the city could be convinced it was in their best interests to forego the additional income from the HEC that arises from wasted energy sales and require energy efficiency incentives to be offered. We also think that LEAP’s having an office in Harrisonburg would facilitate efforts such as CAAV’s weatherization promotion program and Renew Rocktown’s energy audit project, if we can make any headway with HEC and the city through our upcoming collaborative effort noted above (that kicks off May 31). Brenda Mead comes to the Valley Conservation Council with lots of useful experience, wisdom and energy to burn. She’s on a mission to get younger people into leadership roles…something all of us associated with nonprofits need to keep in steady view. Two new hires lately fit the bill: one in marketing, another in land trust issues. Valley Conservation Council is a land trust. They work to preserve clean streams and farmland and the biodiversity they bring with them. With those come the bucolic viewscapes typical of the Shenandoah Valley. They do that by acquiring conservation easements from those who love the land enough to place acreage into legally binding status. In turn, VCC has a perpetual obligation to manage the conservation values of the land or the riparian buffers of streams, to protect soil and water and all the intrinsic values those entail. Often the land is co-held with state soil and water conservation districts. They do have a few “whole farm” easements, but many more riparian easements with 50ft. buffers along a stream through the land. A familiar easement in Harrisonburg is the riparian buffer along Black’s Run in Purcell Park. With the help of partners, the stream has been restored to natural curves that handle the occasional flooding better, and heavily planted with native streamside trees and shrubs. CAAV helped several years ago in straightening young trees knocked over soon after they were planted by the force of flood water and debris it carried. It’s not a simple operation. It requires financial reserves sufficient for legal defense in case of a challenge, and also continuity of the trust, even if VCC should hit hard times and go out of existence. Challenges most often occur when the original donors are deceased, and an heir (or purchaser) is not in sympathy with the intention. Subdivision of the property or addition of more impervious surfaces affecting streams add major challenges requiring negotiation. Responsible management requires regular, usually annual, monitoring visits. Occasionally a new owner has not read the paper work, and doesn’t know about the requirements—and may object vigorously, requiring delicate handling. With the gift of the easement comes a tax advantage. If a parcel is worth $100,000 without an easement, and after acquiring one is worth $75,000, there is a $25,000 difference which is an allowed charitable deduction. At the state level, tax preferences also grant tax credits, and allows the sale or transfer of those credits, but there are caps on both amounts and timing of awards. One additional advantage comes with selling development easement rights to a government entity, such as a county. When the county takes ownership, the easement becomes permanent. With Dominion’s eagerness to traverse easements with new pipelines have come very attractive offers to the owners. Dominion is offering a land trade to purchase land elsewhere in exchange for allowing a pipeline route. In Highland Co., of eight easements, the owners of six have accepted Dominion’s offer, although the county does not agree that the deal is any advantage to the community. There will be new jobs, but only short-term for installation, and most of those jobs will be filled by people from elsewhere experienced in pipeline work. The Virginia Outdoors Foundation with a similar mission to the VCC is fighting back; VCC also plans to be around to do their work, regardless of the challenges. Brenda says VCC is a 501c-3 nonprofit and welcomes donations. They also welcome partnerships in the work of fulfilling their responsibilities to land and water. Currently they have active partnerships with the Friends of Middle River, Friends of the North Fork, Shenandoah Valley Pure Water Forum, and the Battlefield Foundation. You can also be added to their E-news list, if you wish. Sign up! Each month, the CAAV Coalition-Building Committee invites a community member or group to present to the CAAV steering committee about projects with which they are involved. We are grateful to be working with so many other groups and individuals passionate about creating a more resilient, healthy and just world. Those attending the Climate Action Alliance of the Valley’s steering committee meeting on April 18 had the pleasure of hearing from Vine & Fig gardens manager Cornelius Frantz. He has been here less than a year and already making great strides to create edible food forests and composting opportunities accessible to area residents. CAAV steering committee member Charlie Strickler introduced Cornelius having gotten acquainted with him during many hours of driving together last winter to spend time at Standing Rock to protest the North Dakota Access Pipeline. create “… sustainable systems that care for the earth, empower people, educate and inspire, and build the foundation for a nonviolent lifestyle,” he uses phrases like “voluntary poverty,” “downward mobility,” and “questioning cultural burdens,” as good things to strive toward. He lives in the Vine & Fig house on N. Main St. with his wife Shauna. He pedals the compostables from the Food Co-op and the Little Grill up to three times a week to the Vine & Fig gardens to enrich the soil there for the extensive gardens which he is transitioning to perennial crops through permaculture design processes. Along with some recent graduates of a weekend-long fruit tree school held at Vine & Fig last February, Cornelius hopes to create a demo edible forest garden on some unused Harrisonburg Parks and Rec property along Blacks Run and establish a tree nursery to supply other neighborhoods and churches with perennial food orchards. To that end the group has been grafting fruit and nut trees. Cornelius has identified 12 potential sites to host combination fruit gardens and compost collection sites to nourish the gardens. There are many challenges to accomplishing his goals, but we’ll be rooting for him and his hard work to help make our community more resilient and equitable. The steering committee had a real earful today of great news from Remy and the Center for Wind Energy at James Madison University. This high energy person is well suited to her job of helping to push renewable energy forward against all odds. An interesting new development is their program of loaner solar panels in “Wind for Schools” in which educators devise educational displays employing the panels, with the plans for electrical connections to ensure it works. One cleverly designed function runs fans in an outdoor play area, mounted on uprights of a large covered sandbox. They have about a dozen panels still available for loan if you have some bright ideas! The Center’s education/outreach/research and deployment wing is becoming more diverse in its focus, as they add solar and energy efficiency to their bag of tricks. They operate regional wind challenges in Middle and High school competitions as well, with cash prizes to encourage students and their teachers. There is another competition for college students. Do check out the Center for Wind Energy’s website, which is lavish with enticing ideas and applications, including events for homeowners, professional certification and training for solar installers and energy auditors. There is even help available in crafting new ordinances for governmental uses of alternative energy and energy efficiency measures. New work involving research on distributed wind for onsite electrical generation (mostly rooftop) under one megawatt is particularly exciting, involving new types of turbines, as well as larger projects on state-owned facilities in collaboration with the Virginia Department of Mines, Minerals and Energy and the Virginia Department of Transportation, etc. Revolving loan programs are under development, but there are questions still to be resolved. Dominion will remain the provider, but there is progress. As with many other great ideas, the key to development of wind energy in the US depends on good policies. Tax credits have been helpful, but that funding is has been intermittent and too short term for big projects. While distributed wind electrical generation is currently found mostly in the midwest and overall deployment in the US is small, there is potential for up to 30% of total electrical generation by 2050, with plenty of good places in Virginia, including offshore. Dominion continues to be a brake on this form of renewable energy as well, and there presently isn’t much movement on wind development in Virginia. They lost funding for their advanced wind plan for offshore, but still own the leases. They may lose those rights as well if they don’t act soon. Among frequently asked questions is that of impact on bird populations. At this point, land bird kills by wind turbines are less problematic than by feral cats, skyscrapers and other buildings. Current evidence from Europe suggests that avoidance of offshore turbines by birds is frequent, and deaths are fewer. Population health of all indigenous wildlife must be considered in planning, but with proper siting, kills can be greatly reduced. Regarding impact on bats, it has been learned that bats feed most heavily when winds are still and insects more abundant. As little electricity is generated under those conditions, simply turning turbines off when wind speeds are low can reduce bat kills by as much as 80%. Major factors involved in feasibility studies of wind development include winds, space, topography, proximity to transmission lines, proximity to substation and high kilovolt lines, environmental impacts, wildlife, aesthetic issues, and presence/absence of forest cover. Projects that have been proposed and prospected include the Highland Wind Project which has been on hold for years, and the Rocky Forge Project in Botetourt County which is awaiting state approval, but sidetracked by a suit from nearby Rockbridge County on aesthetic grounds. It is a bald mountain only used for hunting with good winds that would generate about 150 jobs in construction and 5-7 permanent jobs afterward, with an estimated $25 million in economic benefits to the area. Our Coalition speaker for January 2017 was Richard Baugh, long-time Harrisonburg resident, lawyer and three-term City Council member. He serves the Commonwealth in many ways, and got the CAAV steering committee up to speed on several matters. We were especially interested to hear from him about his service to the Chesapeake Bay Program and his appointment as the Council liaison to the new Environmental Performance Advisory Committee. He was appointed to the Local Government Advisory Committee (LGAC) to the Chesapeake Bay Program by Gov. McAuliffe three years ago. The LGAC is one of three advisory committees to the Chesapeake Bay Program along with a science committee and a citizen’s committee. They work with the Virginia Department of Environmental Quality and U.S. Environmental Protection Agency and the Governor’s office on the many issues affecting the Bay. While historically the LGAC had the least clout it is now the most engaged of the three. Richard thinks that over the years, its standards have moved from aspirational to requirements for action. Of the other states that border on or impact the watershed, Delaware has now appointed someone, and a representative from West Virginia now attends the meetings. Storm water requirements have driven some of the engagement. Counties in Virginia are all over the map in their level of compliance: Harrisonburg is doing well; King George’s Co. still has ditches that must serve as storm drains. Richard is the first person from the Shenandoah Valley to serve on the LGAC. Appointees are, of course, subject to change with elections. A major failure in the system is that regional groups really don’t have an easy way to talk with each other. The Virginia Municipal League set up a session for regional level communication, but when it happened, the city representatives there wanted to talk with other city reps, town reps with town reps and county reps with other county reps. So it didn’t work well to foster communication on a regional level. But it wasn’t that communication isn’t needed or desired. Concerning the newly appointed Environmental Performance Advisory Committee, Richard understands that there is a lack of clarity on what the body is expected to do. The mandate is fairly broad, however, and that presents an opportunity for the members to help formulate their agenda. It is his hope that they will help the planning commission and city council with particular issues, reminding them that the group exists to advise. He is optimistic that this volunteer group can help in many of the ways that the proposed full-time sustainability coordinator might have done, on a full range of environmental issues in the city. They will need staff connection and Richard will be finding out which department(s) will be affiliated with them. Community Development and Public Works are the most likely. Thanks Richard! We learned a lot from you. Energy efficiency is a measure of how much energy is lost from buildings, and thus a focus of the Climate Action Allianace of the Valley’s concern. After using fossil fuels to heat, cool and power buildings, varying amounts escapes them, depending on how much thought and quality goes into building them, adding to their carbon foot-print as long as they are in use. Dr. Kohen is a JMU emeritus professor of economics and thus is uniquely qualified to speak to the effects of energy efficiency on the long-term costs of schools, in addition to their health and comfort level. As the Harrisonburg City Council begins to search for funding for two new schools following an accelerating population increase, the difficulty multiplies. Both in clarifying the intentions for the new schools and in funding them, Dr. Kohen walked through the process for CAAV’s steering committee October 18. The government Energy Star program defines energy efficiency as an energy use intensity (EUI) derived from energy use per square foot per year. The better the energy efficiency, the lower the EUI. It graphs typical energy efficiency of US K-12 schools at 50-100 EUI. The good news is that the energy efficiency of both new schools being designed VMCO architects will be substantially better than any existing one in Harrisonburg: projected for the Bluestone elementary, 20 EUI and for the Elon Rhodes Early Learning Center, 15 EUI. Both schools will be PV-ready although it is unlikely city council can justify the additional $600,000 to put solar panels on the Bluestone school, with an estimated $34 million already committed. First always in funding schools come core educational goals. Magnifying the difficulty of adding energy efficiency and solar panels as core concepts for new schools is two-fold: the current reluctance state-wide to raise property taxes—the major way Virginia gets money for building schools– and at the same time, the political process, which will put two or three new members on city council and three new school board members. The soonest the possibility can even be addressed will be January 2017, when all new members are installed. Andy affirmed, however, that the school board is sensitive to energy efficiency issues. The controversial but very necessary requirement to also expand the high school capacity that is now more than 300 students above built capacity is still mired in whether an annex to the current high school would be a better solution or a new school at another site. There is NO money right now to build either, and would likely require a change in the self-imposed city debt limit to do it. Kai Degner came to the September 20 CAAV steering committee meeting to say that he has “nothing to lose, so I can tell it how it is.” He’s running a hard race for the 6th district congressional seat against incumbent (24 years) Bob Goodlatte. If you are a “climate voter” you will want to know where Degner stands. First, Kai is a friend of earth’s systems. He knows the importance of clean air, water, healthy soil and food. He also knows the truth and the science behind climate change, and wants to help meet that challenge, that big challenge before all of us. “Preserving America the Beautiful,” Saturday, Oct. 1 in Waynesboro, 9:30AM-2:00PM at Best Western Waynesboro Inn & Suites Conference Center, 109 Apple Tree Lane. There is no charge for the summit, but you are encouraged to register at his online site. Farm and food issues, sustainability, pipelines and fracking, climate change, solar and wind energy, transportation and fuels, national parks and forests, wilderness protection. Sounds great? I’m sure it will be. See you there! CAAV has been attempting for eight years to deliver our message to Mr. Goodlatte. It is rare that we even see him. He was invited recently to speak to the CAAV steering committee, but did not respond to the invitation. In spite of the dramatic increase in climate change already underway, when asked about support for renewable energy during a recent phone-in Town Hall, Mr. Goodlatte said that it would be a waste of money that should be spent only on adaptation.